Dr. Blaine Langberg has a variety of options to compliment a patient’s timeframe, lifestyle and budget. A metal wire is not just any metal wire in this day and age. They are space-age wires made of nickel-titanium developed by NASA in the 1960s. They require less changing than traditional metal wires and usually good choice for orthodontic treatment. 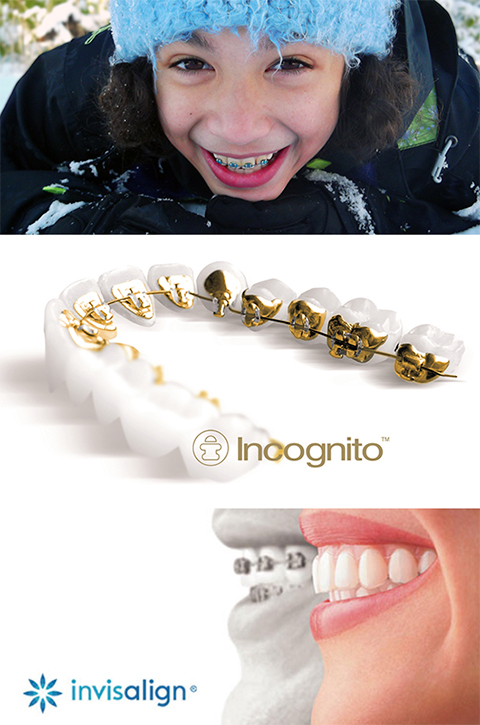 Lingual ‘hidden braces’ made by 3M called Incognito™ is a good choice for those who need the treatment without the visibility. Its great for an active, social lifestyle, and most often a request by adults. 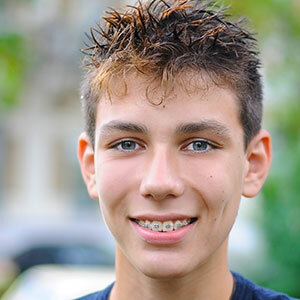 The popular Invisalign® product-line works well for teens (Invisalign® Teens) and adults who want a more attractive, transparent option. Even though you have to wear them a minimum of 22 hours a day, you can take them off for eating or brushing your teeth. Dr. Langberg is a certified Incognito™ and Invisalign® provider. We love Dr. Langberg and the way he runs his practice. It is great for the parents, and great for the kids. He is both a cutting-edge professional, and fun – what a winning combination! Sue L.
Dr. Langberg has an extremely strong background and professional experience in this field. All of the staff in his office are very friendly. We love to come every month. James Q.